When inflammation (swelling) occurs in the attachment of a muscle to the bone (i.e. the tendon), fluid may build up, causing swelling, pain and decreased range of motion. 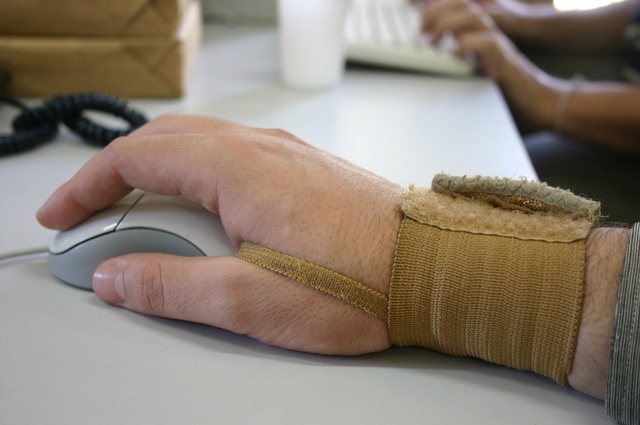 Individuals who are more susceptible tendonitis are those who tend to perform repetitive movements of the limbs (such as typing on a computer), overload particular muscle and tendon groups and those who apply pressure on body parts and use forceful movements. Previous injury to a muscle or bone will cause susceptibility to joint, tendon, or muscle problems. Tendonitis injuries are often managed with medications that reduce pain and inflammation. Specific treatment depends on the severity of the problem in each individual’s case. In severe cases, surgery is sometimes recommended to repair damage. Natural alternatives to medication and surgery include therapies such as IMS (intramuscular stimulation)and medical acupuncture with electro-stimulation, massage, active release therapy and hydrotherapy techniques. Natural anti-inflammatory remedies can also be helpful in managing the pain. Rehabilitation exercises and education are also important factors that will help prevent further injury.